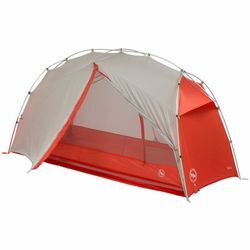 Big Agnes Bird Beak SL1 Tent. The Bird Beak SL tents are one of the most versatile backpacking tents on the market. The exoskeleton pole-system frame design is incredibly strong and creates a very spacious living area that makes it ideal for cots, or anyone wanting some extra elbow room.